Remember that ultra cute, very dandy, and super fun wagon that we took on our fall outing last week? Yep. Â That’s the one! Isn’t the wagon just so charming? 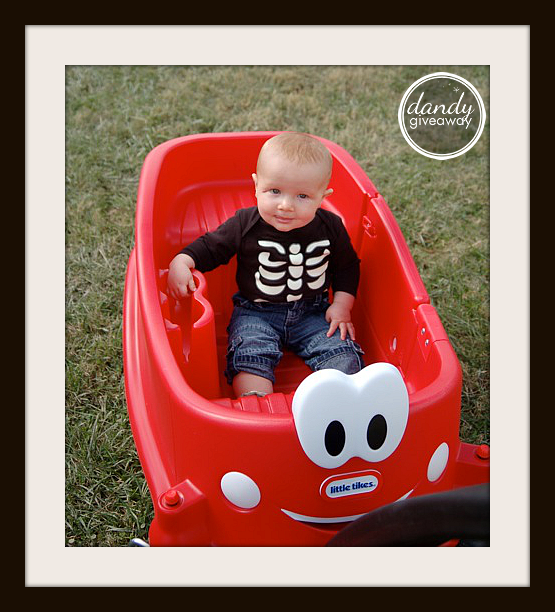 Â Our kids simplyÂ love this wagon. The charm is all in that happy face. 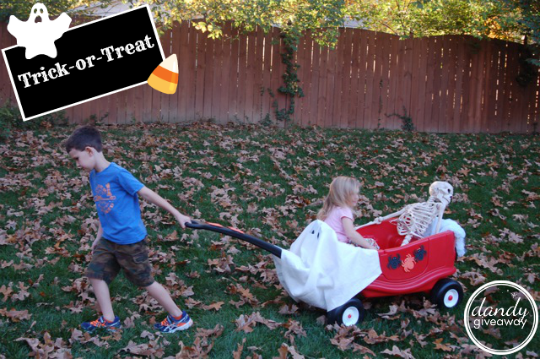 My kiddos were invited to decorate the Cozy Coupe Wagon just to show how perfect it is for the trick-or-treating adventures and it is perfect. Â I mean seriouslyâ€¦ why walk from house to house when you can ride in style? Â And decorating your own ride for the big All Hallows’ Eve??? Â Even better! 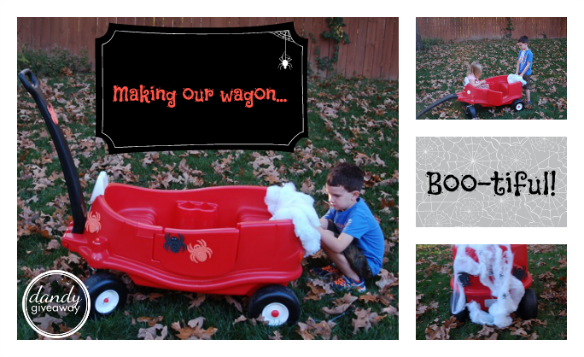 Little Tikes sent them the wagon, I gave them the supplies, and they got to work. Didn’t they do such a boo-tiful job? We just had to put our new friend in costume. After allâ€¦ Those Cozy Coupe eyes were just screaming to be a ghost. Do you have any other ideas of how we could have dressed Cozy? Thanks to Little Tikes we are all ready for trick-or-treating. Â Are you? Â It will be here before you know it. 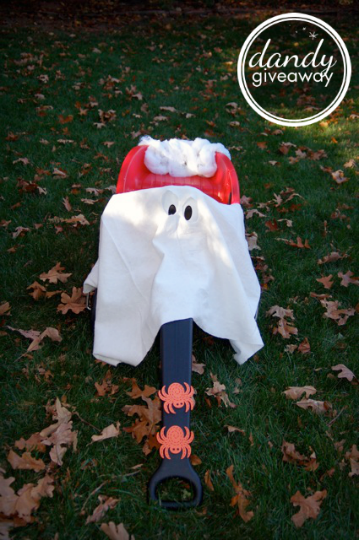 Do you stay in your own neighborhood for trick-or-treating? Or do you go all over town? Have a very safe and Happy Halloween! 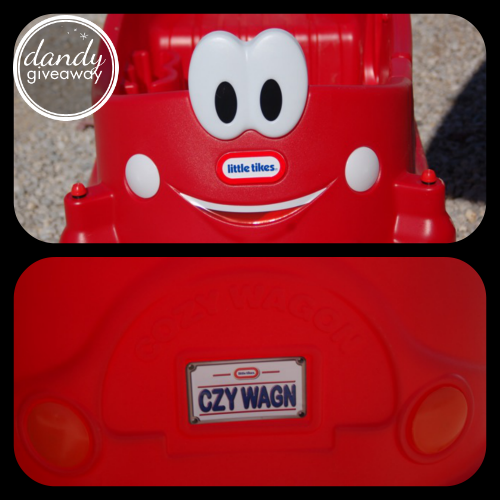 I did receive the Cozy Coupe wagon from Little Tikes to bring you this posting. Â However, all opinions are strictly my own.